We collaborate with many health care providers to continually improve patient care throughout our community, Ontario and Canada. Links with a * will expand to show more information. In February 2014, Mackenzie Health and Sunnybrook Health Sciences Centre (Sunnybrook) signed a Memorandum of Understanding to expand and formalize their collaboration to optimize access to high quality healthcare services for the people of York Region and beyond. The Gale and Graham Wright Prostate Centre, a collaboration between Sunnybrook's Odette Cancer Centre and North York General Hospital, Branson Site, is designed to quickly diagnose and support men suspected of having prostate cancer. The Gale and Graham Wright Prostate Centre brings together a multidisciplinary team. Surgeons and radiation oncologists see patients for their appointments. The physicians work with nursing specialists to assess the patient, and if treatment is necessary, jointly develop a comprehensive treatment plan. Surgery is then performed at North York General Hospital and radiation treatment is given at Sunnybrook’s Odette Cancer Centre. 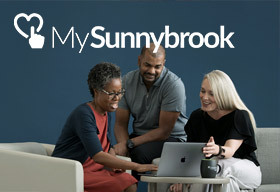 The North York General- Sunnybrook Colorectal Cancer Diagnostic Assessment Program is in development. The program will offer patients easy and timely access to quality colorectal cancer care. 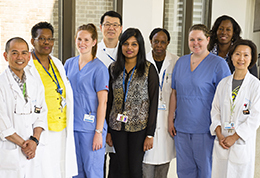 Both Sunnybrook and North York General are high-volume, high-quality centres with colon and rectal cancer as key service provisions at both institutions. Dedicated healthcare professionals at both hospitals work in a collaborative environment to provide patients with high-quality cancer care and the best possible experience and outcome. Primary care providers and patients will have access to surgeons at both sites; collaboration with radiation oncologists based at Sunnybrook; medical oncologists at both sites; and a specialized oncology nurse navigator for improved communication with one point of contact. The Peters-Boyd Academy is one of four academies established at the Faculty of Medicine, University of Toronto. It is a three-way partnership among Sunnybrook Health Sciences Centre, North York General Hospital and Women's College Hospital. The Peters-Boyd Academy delivers and enhances the educational experience of the Faculty’s undergraduate medical students. 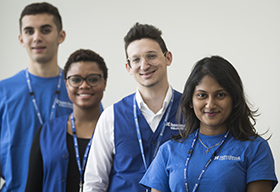 The Academy facilitates student support and mentoring opportunities between teaching faculty and students and provides a personal academic environment for students. Educational facilities at each site of the Peters-Boyd Academy include access to not only clinical learning opportunities but also seminar rooms, computers, student lounges and libraries. The Peters-Boyd Academy Director is Dr. Mary Anne Cooper: maryanne.cooper@sunnybrook.ca, 416-480-6100 ext. 4274. Sunnybrook, North York General Hospital (NYGH), Humber River Regional Hospital (HRRH) and Toronto EMS have partnered on the "Code STEMI" project to improve access to the gold standard in lifesaving treatment for heart attacks in Toronto. 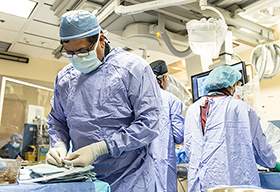 Since the launch of Code STEMI, patients presenting with signs and symptoms of a heart attack, or STEMI (ST-elevation myocardial infarction), in the NYGH and HRRH catchment areas are taken directly to a 24-hour catheterization laboratory at Sunnybrook's Schulich Heart Centre to receive emergency angioplasty. The coordination of services between Sunnybrook, NYGH, HRRH and Toronto EMS dramatically reduces the time it takes for patients to receive this potentially life-saving procedure, regardless of how close they are to a major heart centre. The partnership was the first of its kind within Toronto. There now exists a coordinated collaboration between Toronto EMS and four heart centres in the GTA to provide this cutting-edge care to virtually all STEMI patients in the city 24/7.